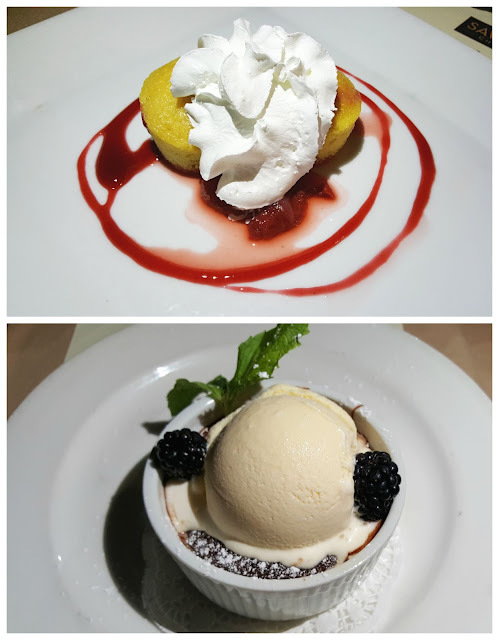 I recently had a chance to head a little farther South in the OC to try a new(to me) steakhouse for a rare date night with my hubby. 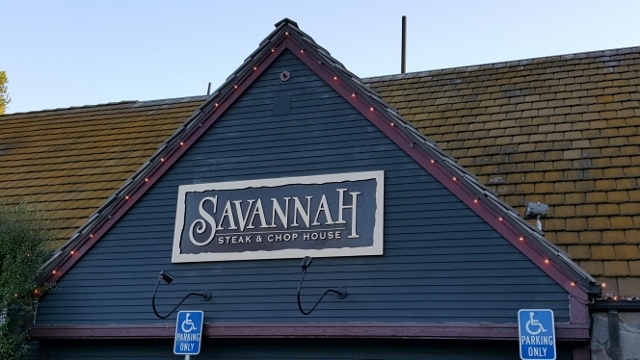 The Savannah Chop House in Laguna Niguel and Gigga Savvy invited us for a promised evening of fun a great food. 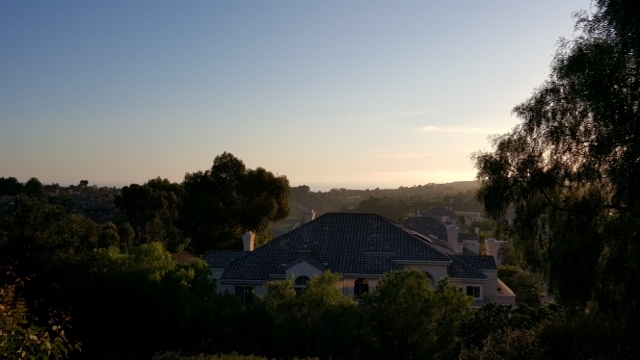 We were greeted to a beautiful view and a sunset setting over the ocean. It was so romantic! In fact, if you have romance in mind, ask for Table #1 as it has the best view on the outdoor patio which brings out the romance in couples. Many engagements occurred here. 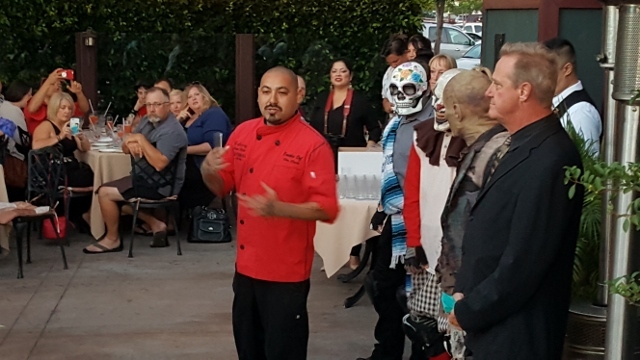 We started off with refreshments and appetizers that whet our appetite and gave us a preview of the amazing chefs like Chris Tzorin had in store for us. 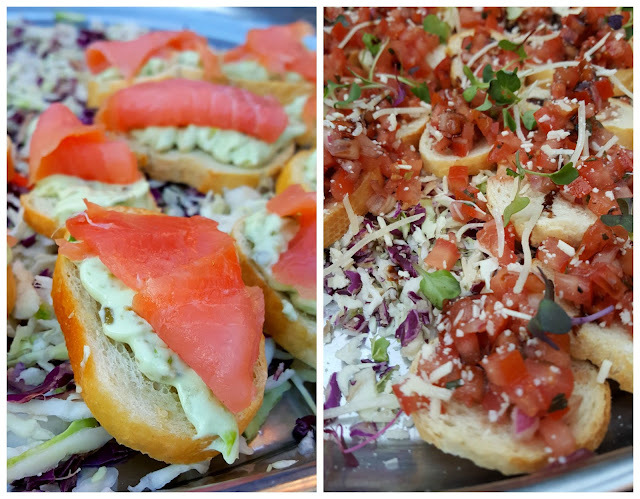 Salmon, Prosciutto Wrapped Shrimp, and Bruschetta were the top choices of the night. As we socialized, we were greeted by none other than some of the Knotts Scary Farm Monsters! What a SHOCK! With the mood lightened with friendly terror, Chef Tzorin came out and fed us the hard work that went into the feasts of Savannah Chop House. While a high end restaurant, Savannah's prides themselves on making our families, theirs. They invite people of all stages of their lives. Come celebrate sports, birthdays, engagements, retirements, you name it. There is room for everyone. The pre-dinner appetizer was this divine Tempura Stuffed Zucchini! Stuffed with goat cheese and sun-dried tomatoes atop bed of mixed greens and ponzu sauce. An orchid finished off the look and we dug in. Still hungry? Salads were next on our 5+ course meal. 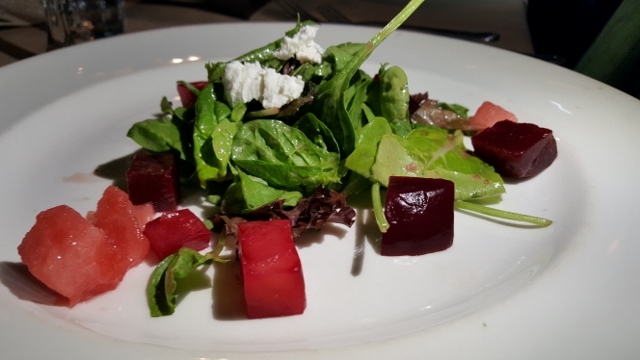 A house favorite was this watermelon and beet salad with candied walnuts and a light vinaigrette. Very refreshing salad for a hot summer day. If you are not a beet fan, the Classic Caesar Salad is a good choice. 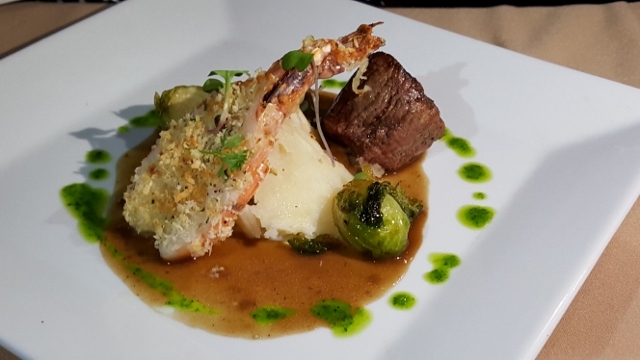 What was on the main course for our event? Our dinner was a delicious Surf and Turf of Scallops, Shrimp and a Filet Medallion. Settled on top of mashed potatoes with a Cabernet reduction. YUMM! You can't eat dinner without a dessert! I saved the best for last. Our choices to share with our dates were a Strawberry Shortcake(vanilla cakes) topped with whipped cream and Flourless Chocolate cake that was TO.DIE.FOR! I am not exaggerating! Berries and vanilla ice-cream topped a molten chocolate heaven that literally melted in your mouth. I really can't say enough about our incredible date night at Savannah Chop House. Beautiful food, sunset, company and my love. You really can't ask for more. 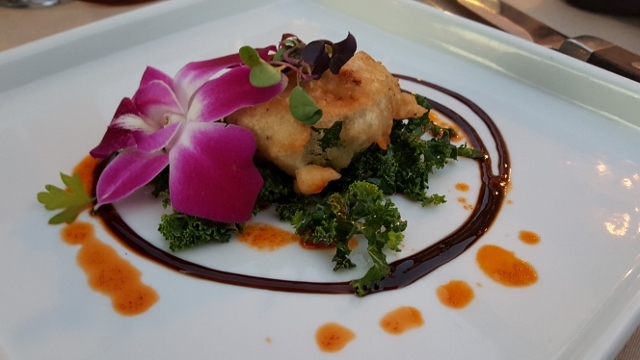 Make your own memories at this delicious restaurant tucked away in Laguna Niguel. Thank you to Savannah Chop House and Gigasavvy for a fabulous night of wonderful company and food. I look forward to exploring more of the OC with you. The food looks so delicious, I haven't been to this restaurant before.